Nothing is more romantic than a Chocolate Covered Strawberry. Send them a lovely gift for your anniversary or just because. 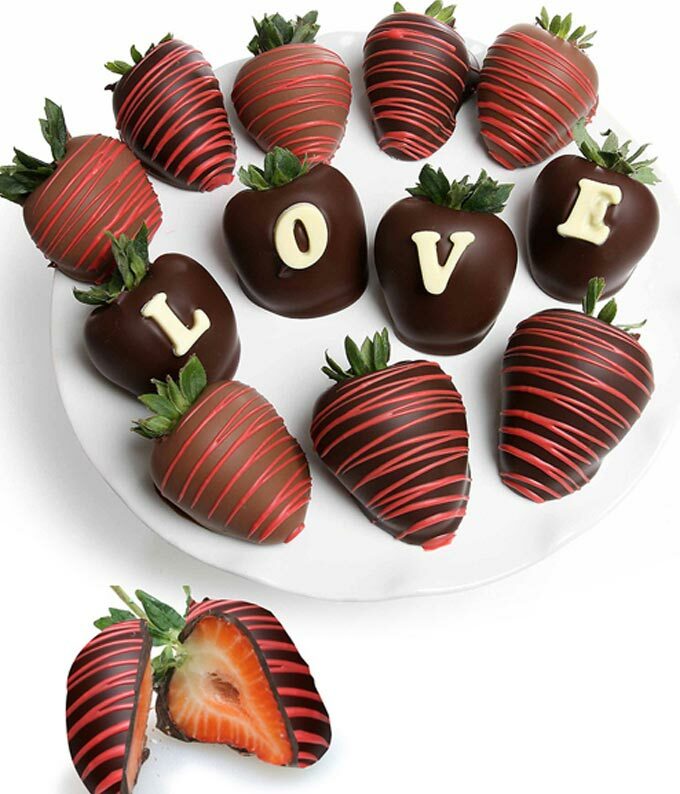 12 delicious dark and milk chocolate strawberries are dipped and then decorated to craft the perfect message of LOVE. This gift is both romantic and delicious.